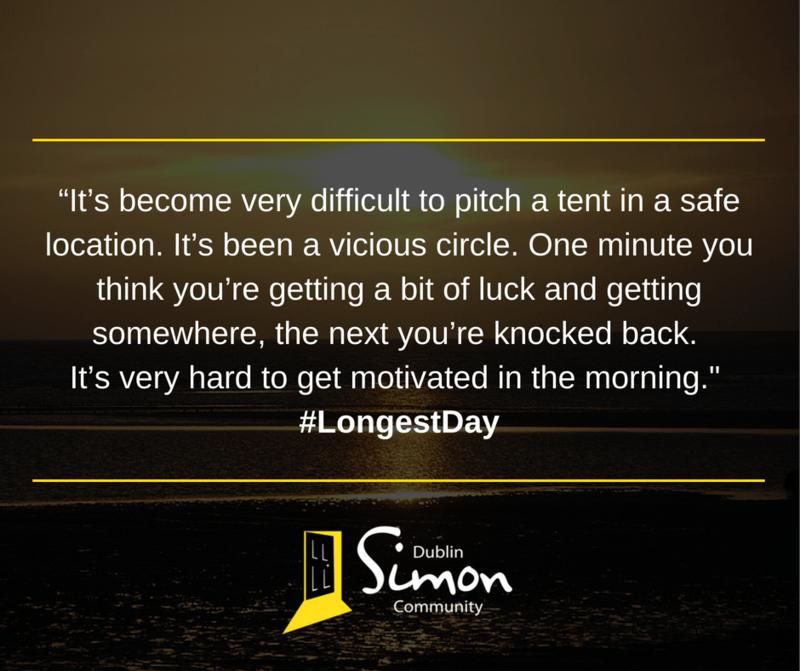 The Dublin Simon Community’s #LongestDay is an annual day of action on June 21st. 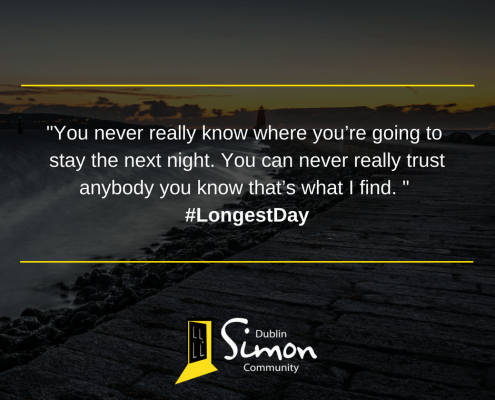 The longest day of the year, with the most hours of sunlight for many, is a day of possibility and activity. 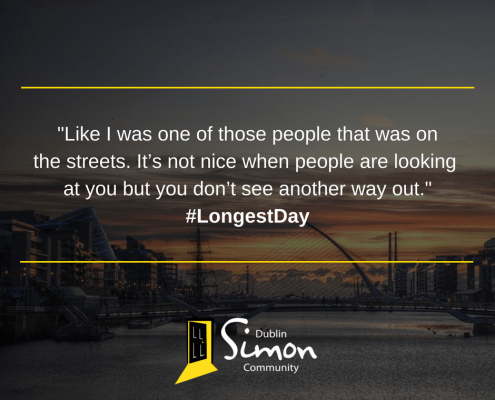 People take time to enjoy the longer day with friends and family; doing simple and everyday things that some may take for granted. 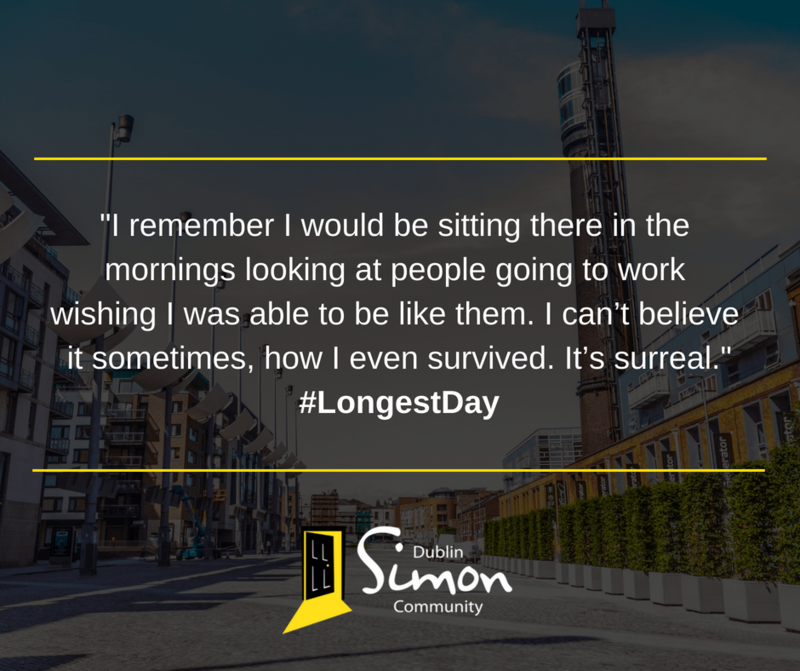 However, when you’re trapped in homelessness with no place to call home, you are forced to go without the simplest comforts and the days can be isolating, endless and relentless; you are living minute to minute and every day can seem like the #LongestDay of the year. 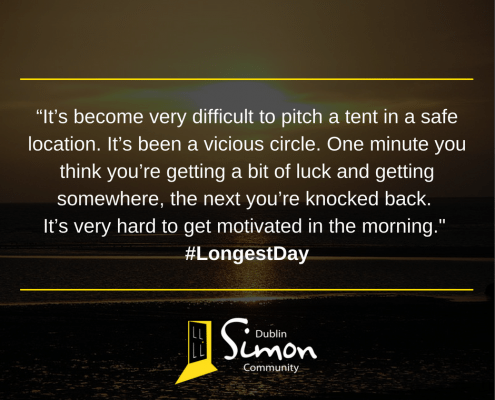 This June 21st we organising a day of action and encouraging people to take the time out of their day to Make a Donation or Organise an Event. 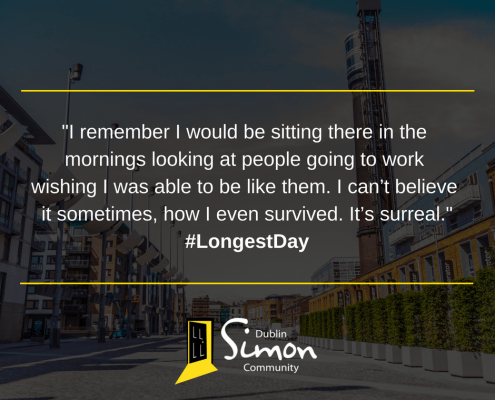 Taking the time to do something will go towards Dublin Simon Community’s life saving resources. 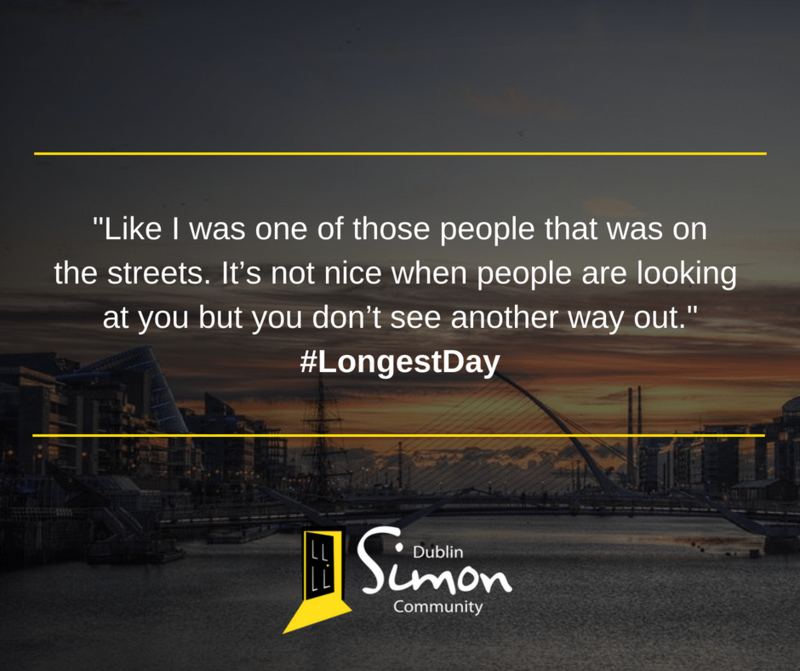 Some of our members from our emergency and treatment services, in the below video, explain what it’s like to experience homelessness and rough sleeping. 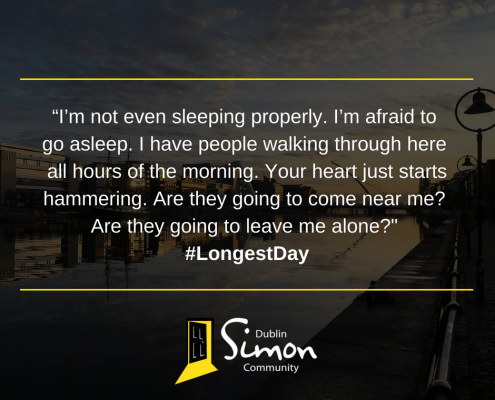 Throughout the #LongestDay Dublin Simon Community will have a day of online activity, where we will share testimonials from clients on Facebook and Twitter to illustrate the lonely and isolating nature of being homeless or at risk. 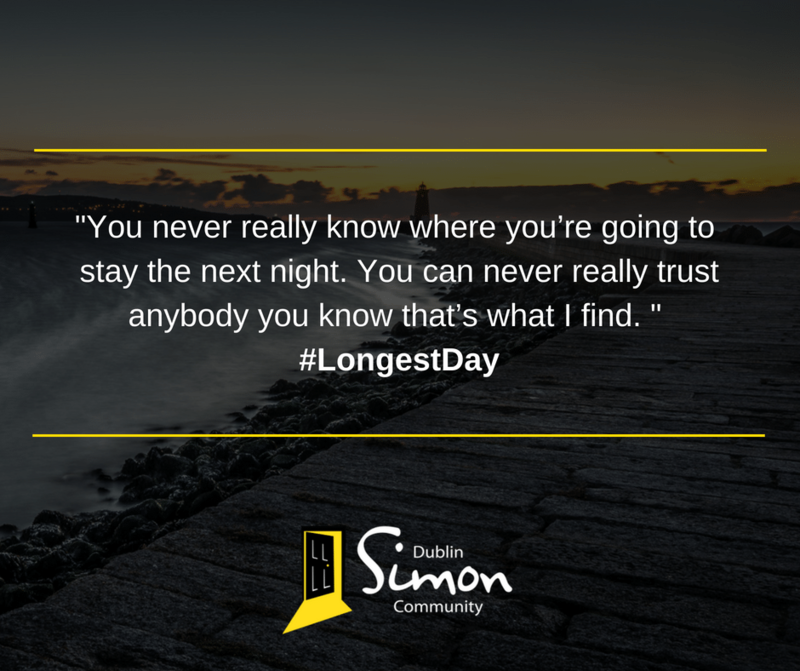 Each quote will be shared with the hashtag #LongestDay. Please support the campaign by liking our content online and sharing it with your friends and family! 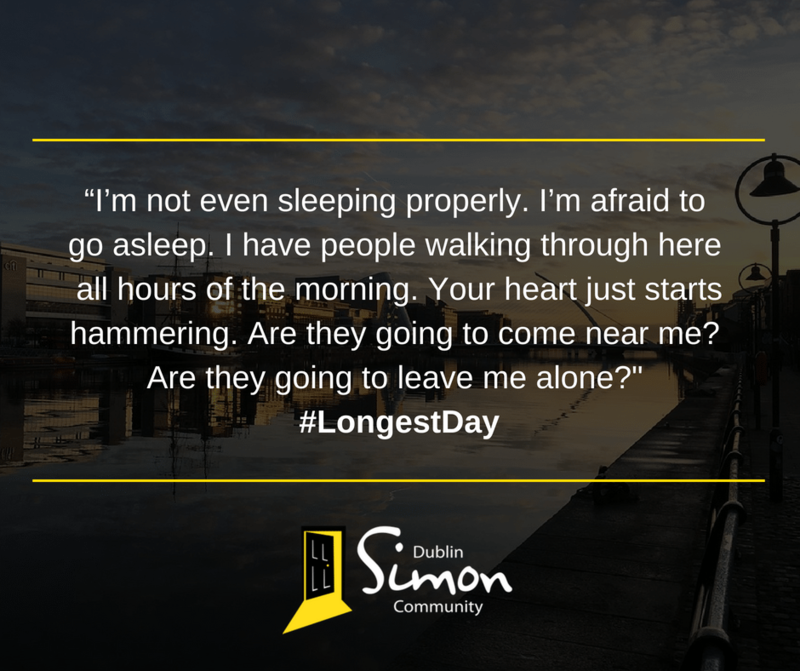 Below you’ll also see a gallery of images that convey our client’s stories and experiences of rough sleeping.